Space to let is available at this upscale location near the Eden Expressway near the North Shore offering easy access to the Airport. The building is modern and supports high speed network access and other advanced technologies. Admin services with secretarial services are also offered making this an ideal environment. 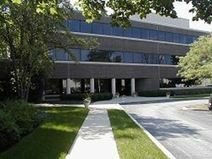 This service space is situated in the very upscale Northshore region that offers easy access via the I-94 providing a quick 20 commute to the O’Hare International Airport. These offices are spacious and offer fantastic views support facilities. Some of these include kitchen access, site access 24 hrs and onsite gym.